Popular with the stage name Prophet 1 – Dr. Ebenezer Adarkwah Yiadom Opambour has criticized Ghanaians especially Christians concerning their addiction to social media. The founder and leader of Ebenezer Miracle – Worship Centre was on Saturday (22nd July , 2017) live on Prophet 1 television where he pooled his sentiments on valid issues that are hindering contemporary Christians from progressing in the Heavenly Kingdom. 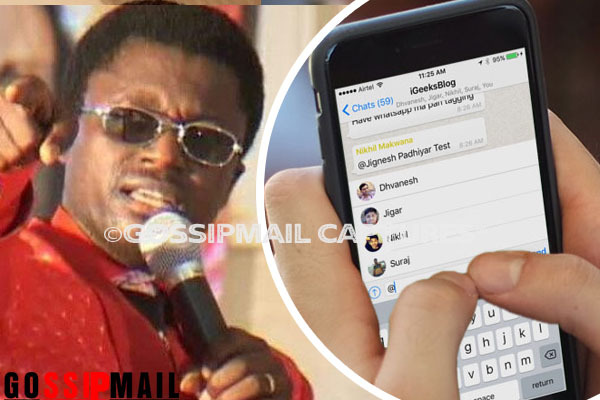 The self-acclaimed nation prophet was pissed-off concerning why Christians, paying attention to the youth take delight in whatsApping, texting SMS and doing all sorts of ungodly things while church service is in progress. “Woe unto you who take delight in texting and whatsApping your boyfriends and girlfriends while sermon is in session” the man of God lamented. To him, he can’t figure out why Christians have failed to respect the pulpit but carnality have become a way of life as practiced by the fraternity in question. This indeed worries him a lot.